On an upper level of high bay 1 of the Vehicle Assembly Building, technicians move protective material toward the nose cone (foreground) of Atlantis' external tank. 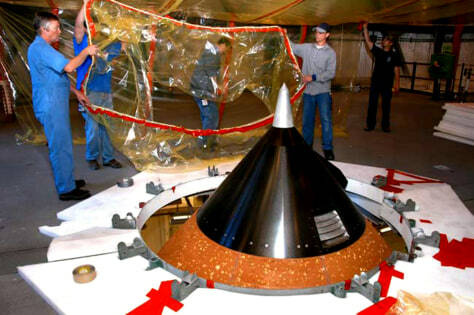 The nose cone will undergo repair for hail damage. Credit: NASA/George Shelton.